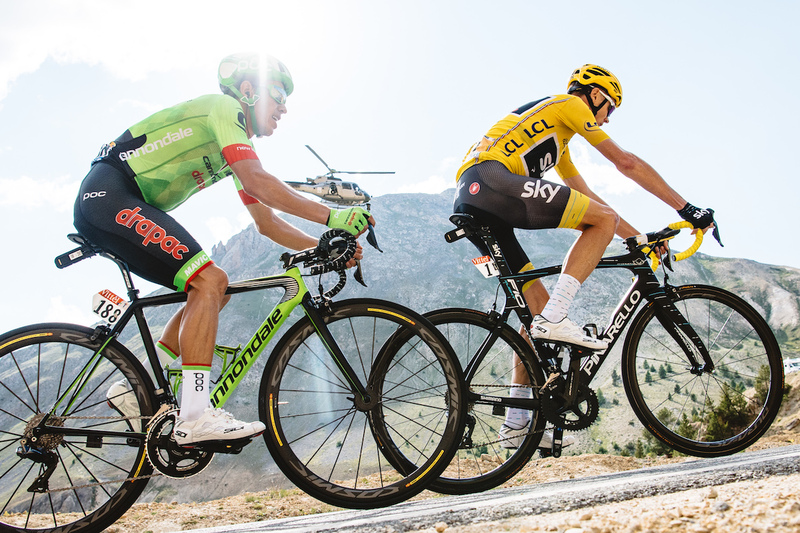 A time trial in Marseille clinched the best general classification result for Slipstream Sports in the team’s nine-year Tour de France history. Colombian Rigoberto Uran started stage 20 in third place overall, six seconds behind Frenchman Romain Bardet (AG2R La Mondiale) and 29-seconds adrift of race leader Chris Froome (Team Sky). By stage finish, Uran had moved up one spot. In Paris on Sunday evening, Uran climbed onto the podium as the 2017 Tour de France runner-up to Froome, who secured his fourth Tour title. While the 22-kilometer lone effort out on the roads of Marseille determined the final general classification order, it was, of course, a culmination of work done up until that point to put Uran in a position to capitalize on a strong penultimate stage time trial. A stage win into Chambery on the final day of the first week announced Uran as contender. From there, Uran’s star rose alongside his results as he cannily pocketed bonus seconds, 22 in total, and carefully metered his efforts. At Uran’s disposal as the race unfolded was a Cannondale-Drapac squad that included three Americans and four Tour debutants, a team selected largely to target stage wins, breakaways and animate the race. The squad punched above their collective weight, particularly in the final two weeks of the Tour when general classification ambitions became more realistic, more poignant. The top four overall were separated by only 29-seconds at the start of a decisive week three. It made for heart-in-throat racing for Cannondale-Drapac and #GreenArgyle fans world-wide. The final week began with two flat but windy stages. Uran’s teammates, those not in the breakaways, stuck close to his side in a concerted effort to ensure he wouldn’t lose any time should the race split. And when it did split, Uran was on the right end of the selection. All of general contenders were not as lucky. From there it was two days in the Alps. Uran won a four-up sprint for second place in Serre-Chevalier to earn six bonus seconds and a two-spot gain on the general classification. Bardet took back time up Izoard and Uran dropped down to third. 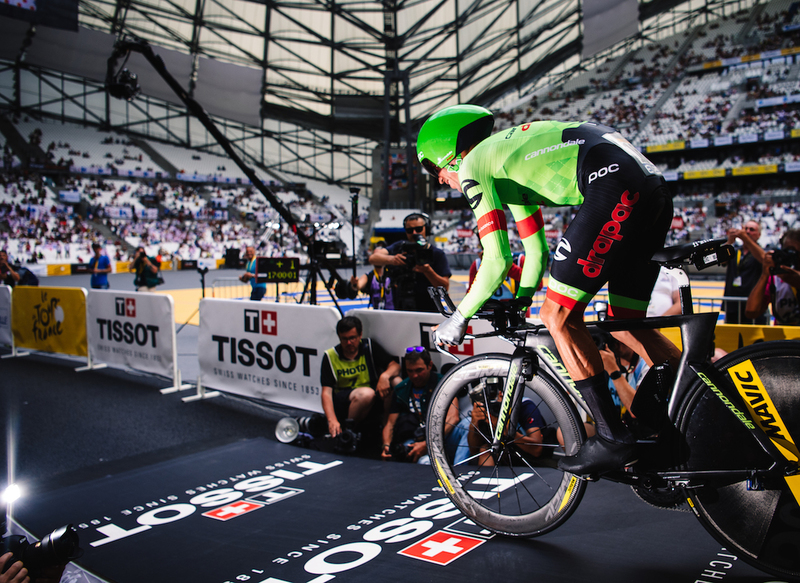 Less than 30-seconds separated the top three on the eve of the penultimate stage time trial in Marseille. The win was always a big ask given the gaps. Uran knew this. The team knew this. And still hope was harbored as Uran stood in the start house inside the Orange VéloDrome. It was a good ride, solid save a bang-up with a barrier on the run-in home. Uran kept it upright to notch the eighth quickest-time. Froome was quicker. Bardet blew, narrowly clinging tight to the final spot on the podium. 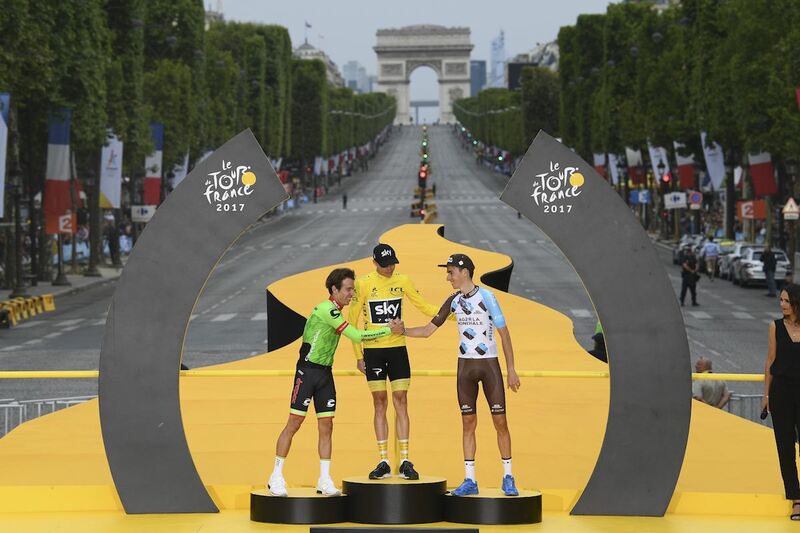 And that was the Tour de France general classification decided: Froome, Uran, Bardet. 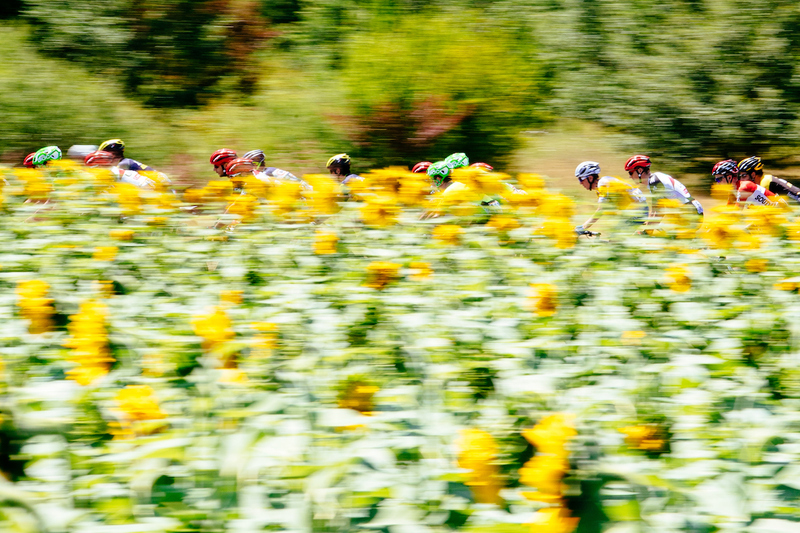 The collective accomplishments of Cannondale-Drapac provide every reason to be hopeful. In addition to Uran’s second place overall and stage win, Cannondale-Drapac spent three days in the King of the Mountains red-and-white spotted polka dot jersey on the backs of Taylor Phinney and Nate Brown, earned the most aggressive rider award on stage seven with Dylan van Baarle and embraced every opportunity to slip into the breakaways. All nine #GreenArgyle starters rode into Paris on Sunday. Beyond performance, the team announced digital media company Oath, a Verizon subsidiary, as the exclusive digital media partner for 2018, and sported new Oath-branded POC shorts on the ride into Paris. Oath reaches over one billion people around the world with a dynamic house of 50+ media and technology brands, including HuffPost, Yahoo Sports, Engadget and Autoblog. Slipstream Sports has always fielded teams that embrace openness in storytelling, and we look forward to this strategic partnership to make compelling and useful content across Oath’s array of channels.